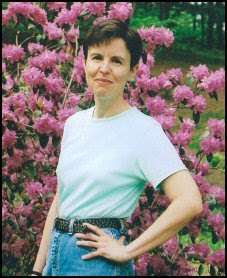 Today I'm chatting with the lovely YA author Darlene Ryan. Writing's been a part of her life for just about as long as she can remember and her newest book, Five Minutes More, was just released on April 1. Five Minutes More is a searing portrayal of a girl dealing with her grief after her father has died (read my review of it). AL: Hi, Darlene. Thanks for stopping by my blog on your blog tour and answering some questions. I love interviewing authors because y'all always come up with some great stories to share. Five Minutes More is a searing portrayal of a girl dealing with grief after her father dies. What inspired you to write this story? DR: This is a story that I’ve been working on for a long time. (A very, very long time.) I think part of my inspiration was that I’m so fascinated by families. I have friends who come from families that are loving and supportive and I have friends who come from toxic, destructive families. They all intrigue me. A big part of Five Minutes More is how this family copes with death. I'm particularly fond of the character of Seth in the novel, but I also have a soft spot for Brendan. Can you tell us a little about how you developed your characters? I love Seth. In one of the earlier drafts of the book—back when I couldn’t make the story work—Seth died. A friend who read that draft begged me to re-write and keep Seth alive. She was right. The story is better if Seth doesn’t die. He isn’t based on any one person, by the way, but he does have qualities from people I know. I knew a guy in university who could juggle. The funny thing was that he was really uncoordinated at everything else. I think there’s a bit of every jock I’ve ever known in Brendan. And when D’Arcy tells Seth about running the bases the wrong way in gym class? A good friend of mine from high school actually did that. For the most part the characters seem to develop as I’m developing the outline for the story. D'Arcy isn't a name that I've heard a lot... how do you come up with the names of your characters? D’Arcy just popped into my head and many times during the writing I wished I had picked another name. It’s hard to type with the apostrophe. For me the name has to suit the character. And if the name has associations for me I can’t give it to a character with a different personality. For instance, my friend Susan—the Susan the book is dedicated to--has a great sense of humour. 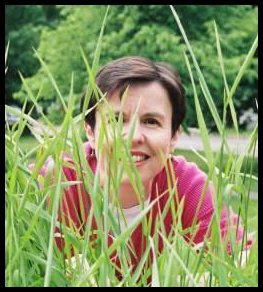 I could never name a character Susan if the character didn’t also have a great sense of humour. It sounds silly, I know. No, that doesn't sound silly at all! What kind of research did writing this book require? Were any scenes harder for you to write than others? Do you have any particular favorite scenes? The funny thing is, I know there were scenes where I sweated over every word, and there were others that came very easily—and I can’t remember now which are which. I like the food poisoning scenes and I like every scene with D’Arcy’s best friend, Marissa. 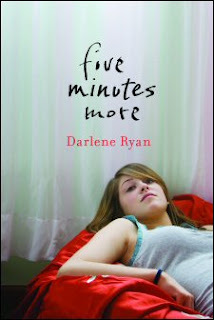 Was Five Minutes More always the title for this book or were there any others under consideration? The original working title was Five Minutes More. For years, literally. Then I changed it to Waiting for Normal. That was the title when the manuscript went to my editor. He asked me to change the title because there had just been a book out called Waiting for Normal. His first suggestion for a new title was—you guessed it--Five Minutes More. You mention on your website that you've always been a writer. Would you tell us a little bit about your path to publication? What did you do when you heard you'd sold that first book? I feel as though I have been writing for ever. I got third place in a poetry contest in third grade. I didn’t do a lot of writing in university unless you count all those essays. For years I wrote commercials, which in some ways is like telling a story in thirty seconds. My first book was non-fiction, the story of my daughter’s adoption. I sold that book very close to my birthday and I think I ate cake to celebrate. I do a feature on my blog called A Day in the Life of a Children's Librarian. Can you tell us a little bit about a day in the life of an author? People always think it’s glamourous or they think I spend the day in pajamas. My day is probably not very different from anyone else’s. I get up between six and six-thirty, have my insulin shot, get dressed, obsess about my hair, and have breakfast. I pack lunch, I remind my daughter to take her gym clothes, I clean the bathroom—in other words I do Mom stuff. At eight I go to my office, check my email and try to deal with anything important. After that I write until about nine thirty when I stop to eat again and have a second cup of coffee. I write after that until lunch. After lunch—unless there’s a blizzard or it’s pouring rain—I go for a walk. Then I work until school gets out at three, except on Fridays when I write until suppertime. And finally, what are some of your favorite YA books? I really like Graham Mcnamee’s Hate You. Diane Tullson’s Red Sea is terrific. And Susan Beth Pfeffer’s A Year Without Michael is a wonderful book. It must be close to 20 years old now. Those are definitely some books I'll have to check out. Thanks so much for talking with me, Darlene!